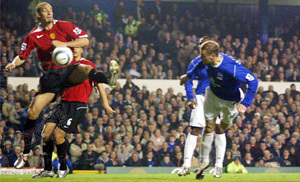 It was just one of those magical nights at Goodison! We really needed a result in this game as Liverpool had been breathing down our necks all season and were growing more and more confident that they were going to pip us for fourth spot! Things weren't looking so good for us though as United had been beaten just once all year (a 0-2 defeat at Norwich a couple of weeks earlier) and they had already beaten us 0-2 in the FA Cup fifth round in February. The real probelm then was that all of the focus was on Wayne Rooney and we spent most of our time barracking the fat little get instead of getting behind the team. But this match was different! 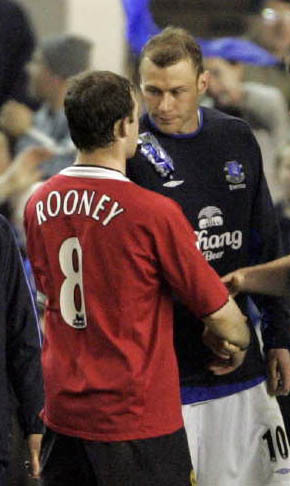 The atmosphere was about as intimidating as Goodison gets (which, for any smartarses out there ready to make a quip, is very intimidating) and United just weren't up for it! To cap a magical night, the game was won by the big fella. 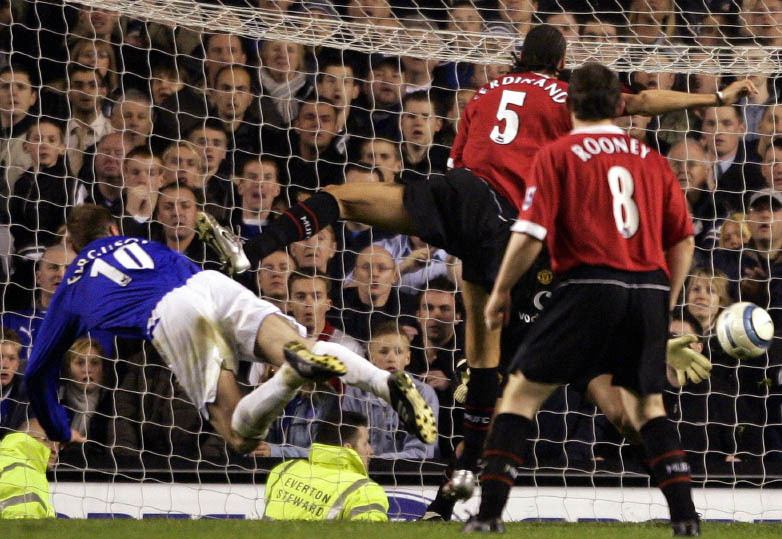 Arteta swung in a sweet free kick from the left and Dunc completely lost his marker and planted a header into the back of the Gwladys Street net! And it was even sweeter than the one he put past them 10 years earlier! Just in case you missed it the first time round!